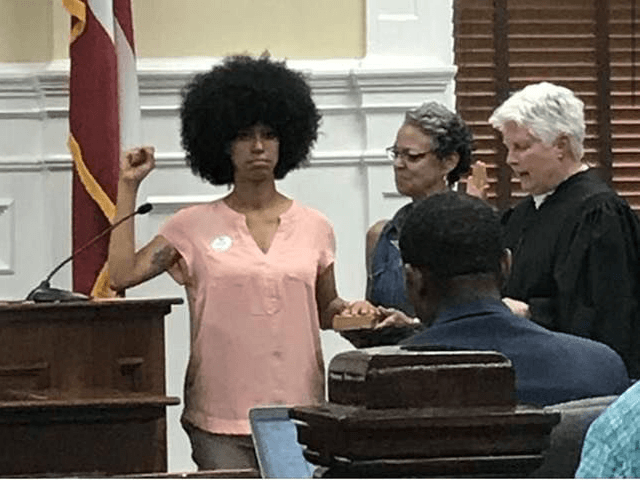 A newly elected Athens-Clarke County Commissioner took her oath of office with one hand raised in a militant black power fist and the other resting on a copy of a Malcolm X biography, a report says. Georgian Mariah Parker, 26, won election to the board by 13 votes, according to the Hill. “They asked if they would like the Bible and I said no. My mother asked if there was a copy of the Constitution around. No,” Parker told the Atlanta Journal-Constitution. “I wanted Malcolm’s book. I think they saw it coming,” she said. Parker added that Malcolm X is her role model. The UGA doctoral student also said her causes as a board member will be social and economic justice issues.